In July 2018, 110 tons of cobalt were stolen from a port in the Netherlands. Drums with the valuable “battery” metal disappeared from a secure area of a warehouse of the Rotterdam sea port. At that time, the value of the batch of cobalt was equal to more than 100 million dollars. The thoroughly planned and perfectly executed theft occurred amidst a hype on price fluctuations for cobalt on the world metal exchanges that happened due to a significant asymmetry in a supply-and-demand ratio of battery minerals on the global market. Undoubtedly, the supplier of that shipment has lost something more valuable than just $100 M. Most probably, it’s business reputation was damaged. A shipment agency which was providing the delivery as well as the port of Rotterdam lost a significant part of their credibility since mass media broadcasted them as culprits of the accident. An insurance company involved in the deal had to indemnify either the carrier or the supplier of the goods. A buyer of the cobalt faced an unexpected interruption in its workflow that could probably entail significant losses due to a tense situation in a battery sector. Hence, a lack of security in logistics has resulted in numerous reputational, operational, and financial risks for a number of organizations. The risks that swooped in due to a seemingly trivial missing of commodity. Could it be possible to prevent such an accident? Of course, it could in case a certain technological solution was implemented in the delivery process. The solution we mean belongs to a wide range of the IoT-enabled systems available now in a realm of safety transportation. Let’s consider how logistics can benefit from various hardware-software solutions developed by the IoT companies. Transportation is exposed to a fundamental reshaping nowadays due to a technological leapfrog in information technologies. And the heaviest effect in such a transformation belongs to the Internet of Things. 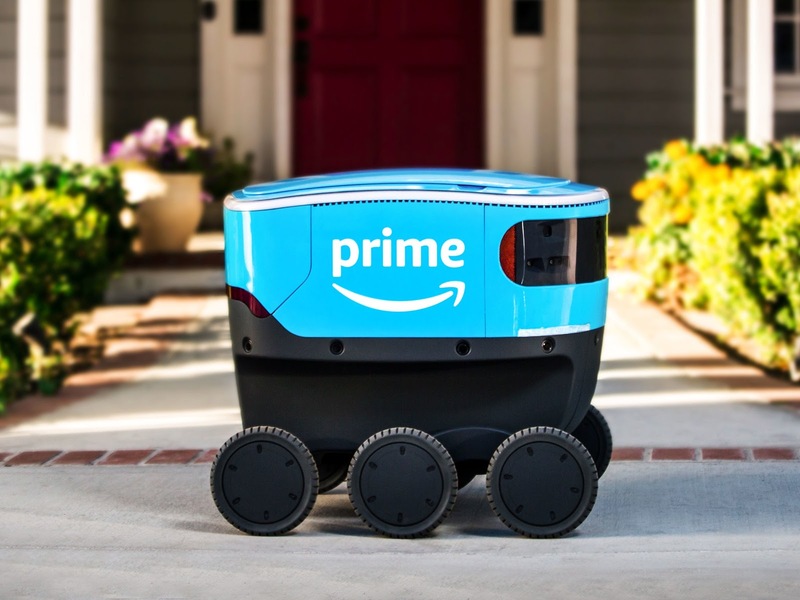 Self-parking Teslas, driverless trucks, cargo drones, and Amazon’s delivery robots are just few of numerous disruptive innovations that appeared possible in logistics thanks to the Internet-based connectivity. GPS, cellular internet, and blockchain happen to be the technologies capable of solving many “traditional” problems in the transportation sector. Do you know that up to 30% of all perishable products never get to their destinations? The losses appeared due to delayed deliveries. The IoT-enabled fleet-tracking systems are designed to meet the challenge (but more on that later). Since automation as such is aimed at mitigation of negative human factors, drones and autonomous vehicles seem a feasible solution for the logistic use cases where humans are inferior to machines. Oftentimes, this is not about a capitalistic greed when human employees are fired due to merely mercantilist objectives. Quite specific but numerous cases require the concern of human life. First of all, it relates to military applications where air-force pilots, for example, are replaced with land operators of the armed drones in many missions. Another case is deepwater explorations the lion share of which is executed by the SUVs - submersible unmanned vehicles. According to Gartner, the global revenue for drones will reach $11.2 billion by 2020. Both young startups and mature industrial behemoths engaged in the IoT sector clearly realize that logistics is a very promising field for various IoT implementations. The available IoT solutions that have already proved their feasibility in transportation would rather increase the interest of customers to the other newly-developed systems than overheat competition. Of course, competition will grow, but due to a relative infancy of the IoT sector there will be enough space for every decent player on the market. Cisco enthusiastically estimates that IoT implementations in the logistics industry can generate about $2 trillion. We share such a vision through representing the following examples of the viable IoT solutions in smart transportation. When something wrong happens with your containers somewhere in your supply chain, your should be informed about it to intervene timely. The SkyCell system based on both the IoT and blockchain technologies guarantees you a full awareness of the status of all your shipments in a real time. Smart containers equipped with IoT sensors connected to a cloud database provide a total traceability of all deliveries. The remote control of shipments is backed by immutable records in a distributed ledger. This is where blockchain meets the IoT. Logistics security based on a robust data verification is what blockchain can provide with outstanding efficiency and reliability. The cobalt theft in Rotterdam described at the beginning of the present article could hardly occur be the shipment connected to a trace-and-track IoT system. Once the IoT makes inanimate objects (things) literally communicative, the provided ability to communicate with containers can eliminate numerous risks inherent in a logistics routine. 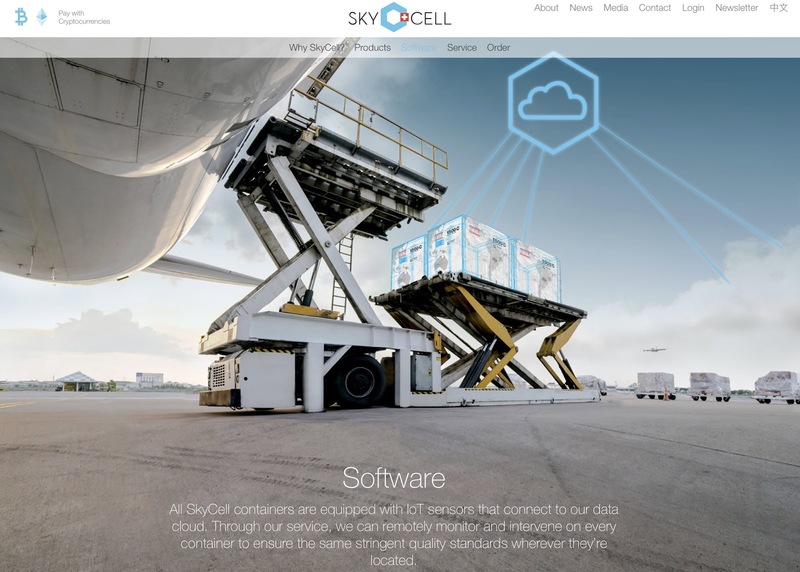 SkyCell got wind right: no need to rely on chance anymore if the IoT offers you a precise knowledge about everything taking place within your supply chain. Smart shipment implies smart containers first of all. And the option to pay for a tracking service in crypto (BTC and ETH) wouldn’t hurt in the 21st century, right? A fleet management provider Ruptela from Lithuania is not a novice in a logistics market. Customers from 127 Countries are available since 2007. The success is grounded on a wide array of services from Ruptela. Unlike SkyCell, the company focuses on the security of vehicles in addition to containers. Besides, Ruptela offers hardware sensors and accessories along with software. Such a holistic approach to logistics security is bearing fruit. 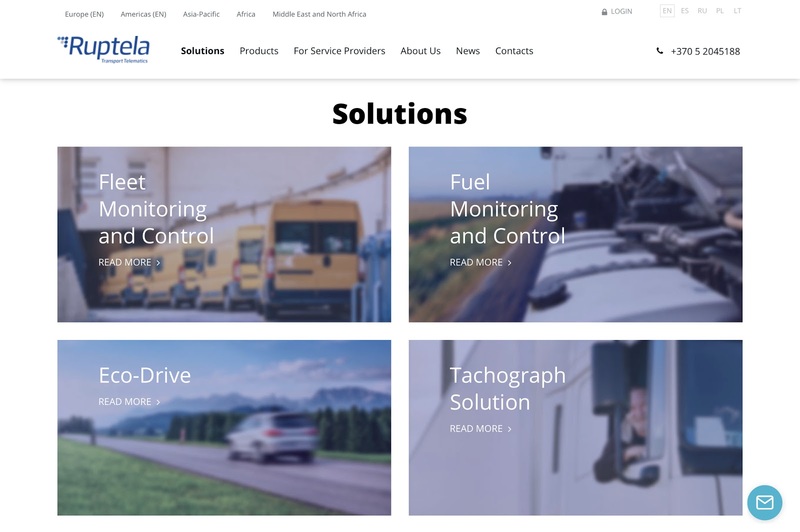 The GPS-based fleet monitoring and control system from Ruptela covers a standard number of tasks for every transport manager: data on vehicles, drivers, passengers, and cargo is collected in a real-time mode through various domain-specific IoT devices. Since fuel is blood for vehicles, Ruptela takes care of the health of fleets via the fuel control and fuel theft protection systems. Door sensors with opening notifications prevent unauthorized access to cargo. Various means of driver identification along with such straightforward features as remote ignition blocking help keep vehicles secure. Continuous temperature monitoring in refrigerating equipment protects perishable products from damaging. Hence, Ruptela provides customers with one of the most comprehensive sets of IoT solutions in a logistics security market. Seafood is perishable and this is a problem unless sea product supply chains are provided with a reliable track-and-trace IoT system. The Hyperledger-based startup Sawtooth shows how such a system can work. Like in the case of SkyCell, we see what a fruitful symbiosis appears when the Internet of Things is complemented with distributed ledgers. Sawtooth bets on a total transparency of the entire journey of sea products from fishing vessels to our tables. Nobody but end customers should figure out whether one or another supplier of sea products is credible enough. 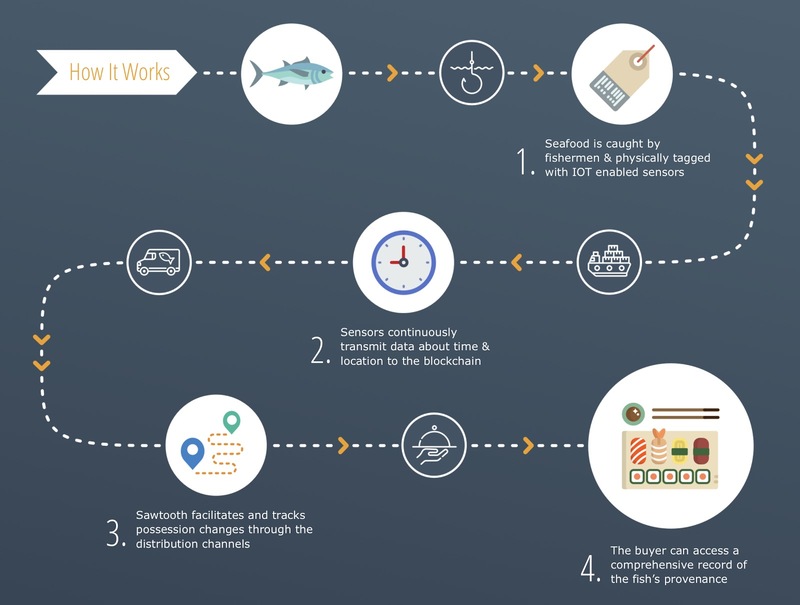 Location, temperature, humidity, motion, shock, and many other telemetry parameters monitored by IoT devices come into play when secure logistics of seafood takes place. But how can we make sure that the collected data is original? The problem of trust is what distributed ledger technologies (DLT) can solve like no other. That’s why Sawtooth applied Hyperledger to its tracking system through which “vendors and consumers know what they are getting and what they are paying for”. Sawtooth solutions are not limited to seafood supply chains only, however. A similar track-and trace IoT + DLT system can be applied to any other sector of logistics since transparency is the other side of the same coin of security in a transportation industry. One of the almost vacant but, at the same time, most promising niches in logistics is represented by only few manufacturers of AUVs - autonomous unmanned vehicles. A young, ambitious, and extremely interesting startup Natilus is an illustrious representative of that cohort. Once military armed drones are coming to a common practice in the Air Force, why not apply cargo AUVs to the commercial air logistics? A small but brave team of Natilus believes that the contemporary navigation and remote control electronics allows making unmanned cargo drones real. In fact, two basic challenges arise before any drone manufacturer: a load-carrying capacity and flight range. The current stage of development implies quite a simple principle: “the larger the better” in this respect. We haven’t seen cargo drones capable of competing with Boings and Airbuses yet (the niche is really vacant). However, the very mission of drones is hardly about transcontinental flights. A fleet of “middleweight” drones capable of delivering several tons of cargo each within a radius of 1000 kilometers in a secure and inexpensive manner looks like a very reasonable solution from a commercial logistics perspective. 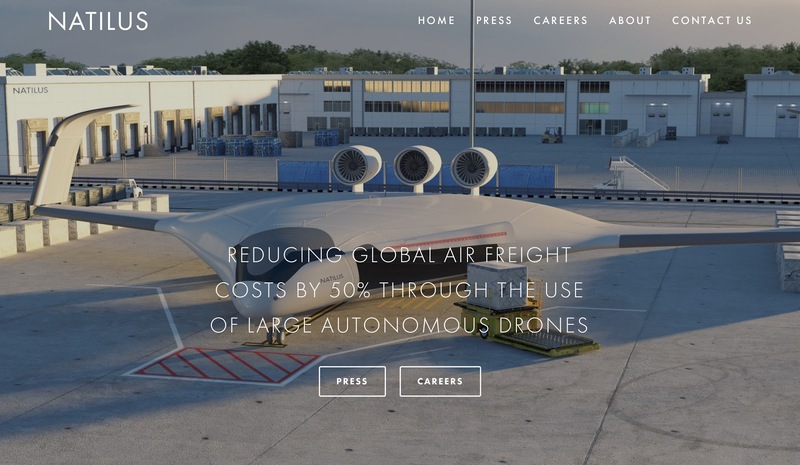 Natilus believes that a drone-based freight can be double cheaper than a conventional air transportation. Only time will tell whether it is so, but the commitment of Natilus deserves respect in any case. Despite quite a long history of transportation, the security of cargo, safety of vehicles, and feasibility of routes remain challenging in the contemporary logistics up to now. Anyone can find various explanations why so. However, the continuous traceability of moving objects - vehicles and containers makes many of the challenges less stressful. The given above IoT applications in logistics show the solutions worth applying by customers as well as adopting by competitors. Since both IoT and blockchain technologies have proved their efficiency in a transportation market, the IoT companies that still stand away from logistics are suggested to undertake developing new commercially viable IoT projects for a shipment sector. Practice confirms that supply chains benefit a lot from the IoT-enabled track-and-trace systems. Challenges inherent in logistics can be turned into a working routine by the IoT professionals. Routine does not necessarily imply something boring and mundane. This is about a stable and beneficial business when a “win-win” strategy brings profits to both shippers and IoT developers. Indeed, the Internet of Things transportation provides a wide field for every decent IoT solution with enough room to exist.